Tragedy befell Monte Williams just a few short days ago when the Oklahoma City Thunder assistant head coach lost his wife to an auto accident. Tribute to Ingrid Williams has been strong as the loss of this wife, mother, and spiritual confidant has inflicted sorrow to the cities of Oklahoma City and New Orleans, the family of the National Basketball Association, and the Williams inter-circle of family and close friends. The fans of sport, not only the Association, have lost a precious soul on earth in Ingred, but in fact, has gained a man in Monte Williams, as a leader of faith and families that all can emulate in our own existence. Yes, a tough week for all, but in God, as believers know, there is a Master plan. What others have said about Coach and Ingrid in print and the media the past week tell us that good people do not have to broadcast themselves to the masses to be significant beings on earth. Men like Monte and women like Ingrid do make a difference in everyday life by the way they conduct their business with those they cross paths with in the course of living a life of service. If not for this tragedy, most of us would have never known of the wonderful man Coach is, would not have known how influential a family figure he is. We need to get down on our hands and knees and thank him for being a righteous person that displays what is best in the human condition. Monte Williams is leader of not only men on the court, but men that want to be successful in being the leader of their own families. I have posted the words of Coach in at the Memorial service of his wife (thanks to the Oklahoman for printing them). What he has told us is a simple but important lesson on how God, family, and the humanity of man is tied together to form a perfect marriage of goodness, always, even in a time of tribulation. As we must, to love and be faithful to God and goodness has to include the action of forgiveness. I’m thankful for all the people that showed up today. It’s a pretty tough time, not just for me but for all of you as well. I’m mindful of that. “I’m thankful for my family. My children have been unbelievably resilient this past week. All of my relatives who’ve flown and drove. “Many friends, some people flew in for the day just to spend a few hours with me and didn’t even get that accomplished. But it all is well received by my family and especially me. “The Bible says in Psalms 133:1, “Behold how good and pleasant it is when brothers dwell in unity.” And I think that’s what we’ve done, and that’s what Ingrid would have wanted. “During times like this, it’s easy to forget that because what we’ve gone through is pretty tough and it’s hard and we want an answer. We don’t always get that answer when we want it, but we can’t lose sight of the fact that God loves us and that’s what my wife and that’s what I, however badly, exhibit on a daily basis. But God does love us. “He loved me so much that he sent his son to die for my sins, and I for one know I’m not the man that you guys see every day. And only God could cover that. “He loved me so much that he gave me a wife that loved every part of me, and she fit me perfectly, and I know different players that I’ve had over the years probably got tired of me talking about my wife. I used to think to myself, “Who else was I going to talk about?” So, that never bothered me. “All of this will work out. As hard as this is for me and my family and for you, this will work out. I know this because I’ve seen this in my life. “See, back in 1990, at the University of Notre Dame, I had a doctor look me in the face and say, “You’re gonna die if you keep playing basketball.” And I had testing done. Test after test, shipping me all over the place trying to find a way for me to play, and it didn’t work out. “And I kept that from Ingrid. She knew I was having some tests done, but she didn’t know the severity of the situation. “And I’m evidence that God can work it out. “I don’t care what you’re going through. This is hard for my family, but this will work out. And my wife would punch me if I were to sit up here and whine about what’s going on. That doesn’t take away the pain. But it will work out because God causes all things to work out. You just can’t quit. You can’t give in. “See, the Bible says Satan comes to steal, kill and destroy. And America teaches us to just numb that and it’s not true. But it is true. All you gotta do is look around you. Get outside of these walls and you know it’s true. “Doesn’t mean it’s not hard. Doesn’t mean it’s not painful. Doesn’t mean we’re don’t have tough times and we’re gonna have tough times. But what we need is the Lord, and that’s what my wife tried to exhibit every single day. “Now, I’m gonna close with this, and I think it’s the most important thing that we need to understand. Everybody’s praying for me and my family, which is right. But let us not forget that there were two people in this situation. And that family needs prayer as well. “And we have no ill will toward that family. “In my house, we have a sign that says, “As for me and my house, we will serve the Lord.” We cannot serve the Lord if we don’t have a heart of forgiveness. “That family didn’t wake up wanting to hurt my wife. Life is hard. It is very hard. And that was tough, but we hold no ill will toward the Donaldson family, and we as a group, brothers united in unity, should be praying for that family because they grieve as well. So let’s not lose sight of what’s important. “God will work this out. My wife is in heaven. God loves us. God is love. And when we walk away from this place today, let’s celebrate because my wife is where we all need to be. And I’m envious of that. “But I’ve got five crumb-snatchers that I need to deal with. “I love you guys for taking time out of your day to celebrate my wife. “We didn’t lose her. When you lose something, you can’t find it. I know exactly where my wife is. “I’ll miss holding her hand. I’ll miss talking with my wife. “Sam (Presti) and Coach (Billy) Donovan probably couldn’t figure out why I always wanted to get out of the office. Me and Mo Cheeks. Mo probably wanted to go do something else, but we always wanted to get out of the office. I just enjoyed being with my wife. I enjoyed being with my family, and most of the time, we didn’t do anything. We’d just be at the house, sittin’ around, doin’ nothin’. I’m gonna miss that. “Let’s not lose sight of what’s important. God is important. What Christ did on the cross is important. “Let’s not lose sight of that family that also lost someone that they love. “I love you guys. I hope I get a chance to hug and shake a hand and give a kiss on the cheek. But let’s keep what’s important at the forefront. Good call for the new Bull's coach Fred Hoiberg, going after head Spur's assistant Jim Boylan. Boylan needs to be a head coach somewhere and will he move? Don't think so. He will wait for Pop to retire and then take over the SAS. OKC Thunder are about to announce their assistants and Monte Williams (former Pelican's HC) and Maurice Cheeks (former Thunder assistant/Detroit Piston HC) are two top names mentioned. Thunder head man Billy Donovan will bring his assistant and just fired Alabama head man Anthony Grant to join the team in Oklahoma. The Cavs Matthew Dellavedova is being called a dirty player by some. It's a shame that hard nose men like Dellavedova is getting that label when the league need more of the kind of this Australian. The a rule of basketball is be tough and rough and play like a hellion, especially if you are not the most talented on the court. I give it up to this guy. Big 12 Football 2015- A Year of Bears and Frogs? Copyright Getty Images Kick returner Corey Coleman #1 of the Baylor Bears is tackled on the opening kick in the first quarter against the Oklahoma Sooners at Floyd Casey Stadium on November 7, 2013. Much concern has been given to the Big 12 and their lack of national significance last season when the four best teams were picked to play in the first Division One playoffs. Ohio State, Alabama, Florida State and Oregon trumped the Big 12 Co-Champs the Baylor Bears and the Texas Christian Horned Frogs. Will the same thing happen again in 2015 if either Baylor or TCU (and any other Big 12 team that might run the table) go undefeated or even with a loss? If history is any indicator, probably. The Big 12 is not an inferior league when comparing the league with the other Major Conferences that play a part in getting teams into the Final four. But an inferior non-conference schedule leaves the Big 12 without an out if say a TCU loses just one game in a season of mediocrity in playing inferior teams out-of-league. Examining the non-league games the Big 12 contenders play, one loss will ruin any chance of a National Title for that team. TCU at Minnesota (a Big 10 team that should not give the Frogs trouble, even in Minneapolis. I will give Texas a big "Howdy" as the Horns are the exception in the Big 12, with games at Notre Dame and home in Austin against Cal-Berkeley. Good luck with the Irish in South Bend. Oklahoma, Oklahoma State and the rest of the conference schedule the same as the current big two with one exception as the Sooners visit Knoxville to play a middle of the road SEC team looking for revenge. Otherwise, the Big 12 play the Little Sisters of the Poor in non-league games and Kansas and Iowa State (in the dumpster of the league), might in the same class as the Little Sisters. Iowa State, you need a new coach and a double loss to Northern Iowa and then the Hawkeyes of Iowa the next week should do the trick. Kansas, you better not lose to South Dakota State because you won't beat Memphis in Lawrence and you sure won't beat Rutgers in Jersey. To sum up, the Big 12 is looking at a 2nd year of being left out and looking inside the the playoffs. It is a must for the Big 12 champ to be undefeated, as again, no extra push for winning a Conference Championship game. (are the Big 12 powers to be dumb)? More later sport's fans. 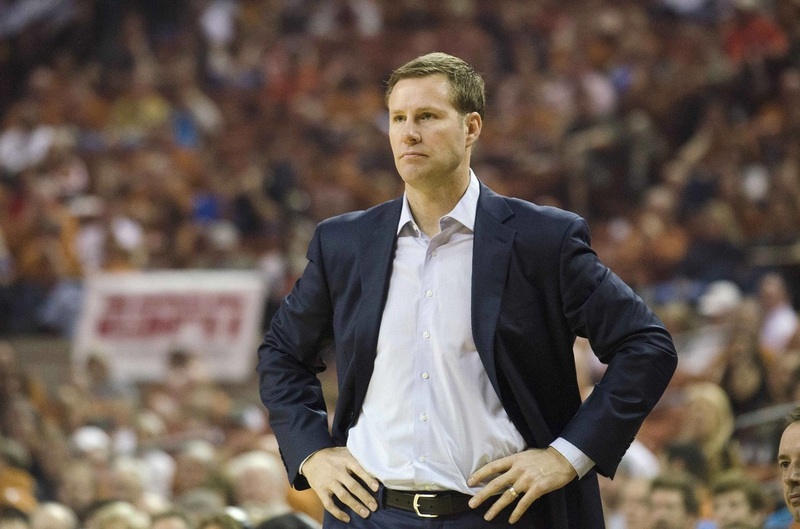 Reports out of the Windy City say the Iowa State head basketball coach Fred "the Mayor" Hoiburg will be named the new coach of the Chicago Bulls. Hoiburg has been at Iowa State since 2010 season and has taken the Cyclones to the NCAA tournament 4 times with one Sweet 16 appearance. 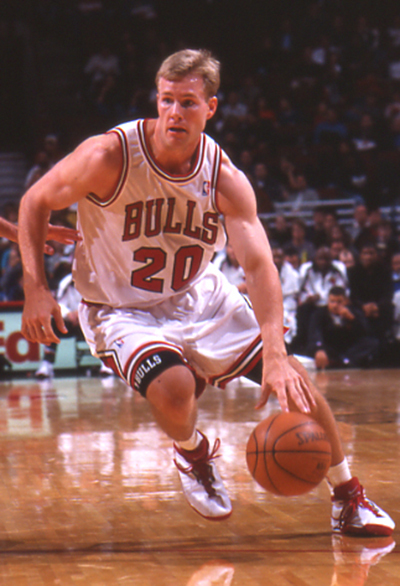 Hoiburg was an All-Big 8 performer in his last season with the Cyclones and has ten seasons in the Association as a player, four with the Bulls. The signing should happen as soon as Saturday. A good choice for the Bulls and a coach that can get along with management. Upcoming redshirt freshman Justice Hansen of the Oklahoma Sooners will transfer out of the Big 12 school, effective immediately, leaving the starting quarterback position in Norman down to three. Hansen, a 6'4 product out of Edmond (OK) Santa Fe High School has not hinted on where he will make home for the start of the 2015-16 season. As per the NCAA, Hansen will have to sit out the up-coming season and will have three seasons to play at the Division One level. 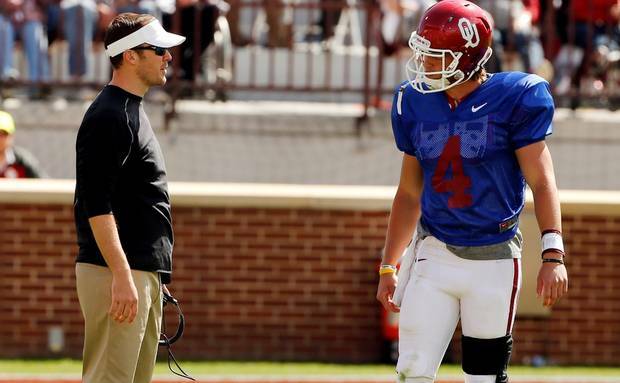 Cody Thompson, Baker Mayfield, and Trevor Knight will compete for the start for OU. Hansen was recruited by the top schools two years ago, including aTm, Arkansas, Missouri, Kansas State and Auburn just to mention a few. He chose OU as his father was on the 1994 OU National Championship baseball team. Will Kevin Durant’s humongous 10 year deal with Nike, worth anywhere from $250-325 million keep the wunderkind from bolting from the Oklahoma City Thunder in two years. 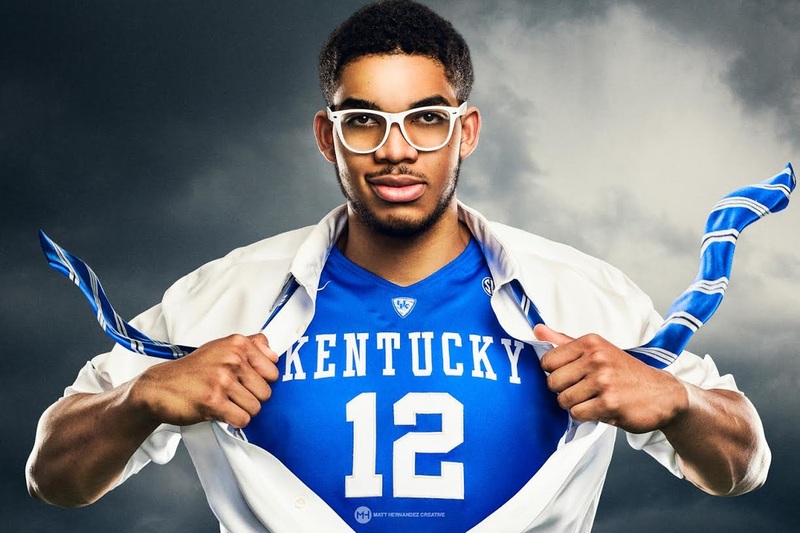 Or will he take his game to another city to pursue a championship in a new location, molding a team, aka James? The signing of the contract nixes the possible move from Nike to Under Armor giving the Swoosh KD’s brand to the world and making the Thunder second in salary payments to him for the foreseeable future. Will Nike want KD in a bigger market in two years to push the brand on a larger scale than what he can accomplish at a small market team such as Oklahoma City? Speculation is yes, quite possibly, but decisions to be made in the months to come will have to take into account KD’s love of his current teammates and his loyalty to either Oklahoma, hometown Washington DC area, or other promising venues. What will Durant’s agent Jay-Z recommend and will he follow his advice? All these things come into play and the decision will become more intense as the next two seasons play out. From this writer’s perspective, living in the Oklahoma City market, and being around Kevin’s movements, activities, and statements, anything is possible. Durant’s first goal, he would tell you, as he has told the world, is to win an NBA title. Currently, he has that opportunity to do so where he is. Teammates Russell Westbrook and Serge Ibaka are players that give him as good a chance to win in OKC as any he will find elsewhere. KD is the face of the Thunder organization. He loves the quiet of OKC. He can go to Bricktown and enjoy the evening without fanfare, eating at his own restaurant. Same with the shopping mall or the Mickey Mantle’s Steakhouse. No public hassle. He can ride his bike in obscurity, take a short trip to Norman or Stillwater to watch a college game of his beloved Texas Longhorns, or walk into a NAIA gym and mingle with the small crowd and enjoy the game. Things he can do in OKC you can forget about it in say a New York City. KD, again, will tell you he loves the non-hustle and bustle of his adopted city. He loves the sold-out crowds of every game at the Peak. He loves the never a negative boo while playing there. Hell, he hasn’t heard one negative word from any Thunder fan since playing here. He has the support of not just basketball fans of OKC but every living soul in the state of Oklahoma. He IS the face of Oklahoma, the whole dang state. That would change if he leaves. KD would be the face of whatever he sold. His persona would be that of a LaBron James. That’s not all bad but why be someone else when you can be yourself, an original. ​KD will have many things to consider if he takes foot to another city. That, right now, is not of his nature. Things can change in two years. If OKC wins a title, KD will be a Thunder until he can’t play. The Thunder would never cut him, just as LAL has honored Kobe. Once the face of OKC, always the face of OKC. Yes, the Thunder might not win it all and that changes the game. But the question has to be asked. Can he put together a better team somewhere else? Westbrook is good for three more years and if KD did bolt the greatest athlete in the Association becomes de facto #1, at least for a year. Yes, Russell could take his game home to LA which would be a stronger possibility if KD is gone in two. Yet, those two love each other, as KD loves all his teammates. Remember his MVP speech? Genuine and from the heart. Hell, with the money KD is going to make in the next ten years if he wanted to own an NBA franchise (Michael) he could get one in time. At least a part of one, a significant part. The stakes are enormous for his decision. It won’t be easy but in the long run it will be a matter of why KD is who he is. Money won’t be the final driving point. KD wants to win but he also wants to be significant. He is in OKC with a smile on his face. That is the driving point. Personal happiness along with satisfaction and respect is all KD desires. OKC and KD both get it.